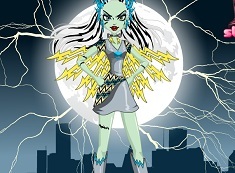 All the characters here on games-kids.com want to look good everyday and in every posture, so today dear friends you can see that we have brought for you a new online game from the Monster High games category, in which you have to be very careful and concentrated. 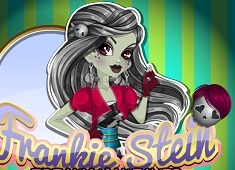 You dear friends have to make sure that you can help the main character, who is going to be Frankie Stein to have beautiful clothes that she can show to all her friends from the Monster High. 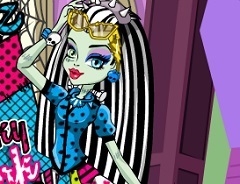 It's not going to be easy at all, but we are sure that you will manage to help Frankie patch all her clothes so that she can wear old clothes as new ones, and we are sure that she will start a new trend through all her Monster High friends, and so more fun and interesting games from this games category will appear here on our website and so you can meet with more characters like Draculaura or Clawdeen Wolf. Have fun!